We have the expertise to make your occasion one to remember. First class DJ`s and bands can be supplied. We can arrange on request bars, catering, themes , cars, balloons and almost anything to make your occasion one to remember. Telephone 01525 717621 or 07889786153 or email Sid by clicking here. "THE VERY BEST IN DISCO ENTERTAINMENT"
Sid Hudson is a well established DJ who has much experience with all types of occasions in the entertainment field. Weddings, birthdays, concerts, corporate functions, inside or out, no matter how large or small, Sid will suit your needs. His wide range of music includes all types from the 50's to the current sounds of today. 60's, 70's & 80's Soul Music are his speciality, so he's the ideal person to host your 70's night. The Sid Hudson Road Show will adapt to any special theme or occasion to suit your needs! 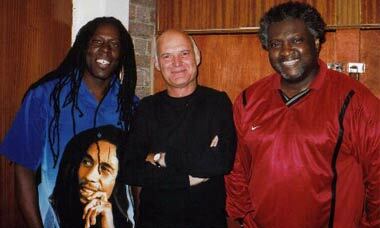 Working with names like Edwin Starr, The Drifters and The Supremes has given Sid a unique style which helps to bring all different age groups together for one big party. Let Hope & Glory take you One Step Beyond all expectations for your function/event. They are fast becoming a must have band for major Two Tone events as well as Weddings, Birthdays, etc. Their slick energetic performance will have you singing and dancing to classic hits by Madness, Bad Manners and The Specials. 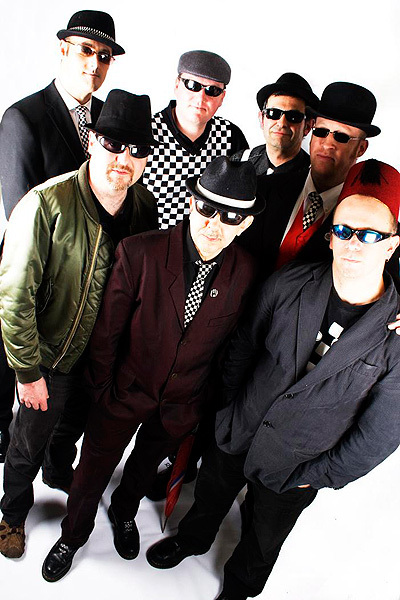 For a full dose of Ska Mania call us straight away on 01525 717621 or 07889786153. George Anthony is a talented performer with a smooth vocal range that covers songs by Frank Sinatra and Nat 'King' Cole thru to Al Green and Elton John to Luther Vandross and Lionel Richie. He has the experience of supporting some timeless acts on stage, like Jimmy Ruffin, Jimmy James and the Vagabonds, Heatwave and Rose Royce. His vocal quality has enabled him to be a star in the grand final of TV’s ‘Stars in Their Eyes’ as ‘Al Green’.and win both the 2005 & 2006 UK Unsigned Talent Awards n London, UK. He has also been voted by the public as Overall Catagory winner 2007 in the UKUNSIGNED.NET talent quest. He has recently done performances at the Luton International Carnival and 5 Star Hotels in the middle and far east, including fronting the Doha Jazz Big Band. He certainly provides versatile vocal entertainment to the high standard an audience deserves. Need a live band for your function? Get Smart, The Catch & Boogie Wonderband use professional, well-rehearsed musicians and vocalists, a high quality 4/8 kilowatt sound system and powerful light show. If you need a band to play a wide variety of music with a brass section included, any combination of bands may be booked. Varied CD music can be provided before performance and during breaks, ensuring that the entertainment is continuous throughout. 'Do you like good music? That Sweet Soul music?' Then why not book GET SMART? A nine or ten-piece band with a superb brass section, playing the Soul & Motown tunes made popular by artistes like Sam & Dave, The Supremes, Martha Reeves & The Vandellas, Wilson Pickett and Aretha Franklin to name but a few. Originally formed in 1995, this lively 6-piece function band has built up a reputation for being reliable and professional. The band has vast experience in entertaining people at weddings, parties and functions all over the UK. With high quality musicians and three lead vocalists, THE CATCH authentically covers a wide variety of 'pop' hits from the 60's right through to the present day. This nine or ten-piece group, will take you back to the 70's...the era of sequins, glitter, platform shoes and outrageously flared trousers! 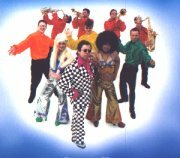 With theme costumes and a spectacular light show, Boogie Wonderland will give a lively, colourful performance while you dance to the songs of Earth, Wind & Fire, ABBA, Chic, Gloria Gaynor, Rose Royce, Sister Sledge and more. A first class 3 piece soul band who's mixture of 70's & 80's soul, funk, reggae and disco is ripping up the dance floors throughout the country. There personality and performance is fast making them a greatly sought after act. More details on request! Once seen never forgotten! Their 1000 + performances are bright colorful and full of costume changes. Their music starts at the 40's, covers every decade through to the present day with excellent music, vocals and costume changes. More details on request!